Oddball Films presents Cine-Collage - Remixing the Moving Image, a program of collage films and animations all made decades before digital editing and youtube with works by Bruce Conner, Chuck Braverman, Arthur Lipsett, Frank Mouris, Animal Charm, Martin Arnold and even Tex Avery. 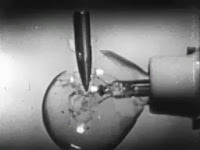 Collage film began with the clever and brilliant Bruce Conner in the 1950s, recontextualizing bits of found footage and other film into a new, and completely unique message. While today, video mash-ups are plentiful and relatively easy to produce with the advent of digital editing, in the 1950s and 1960s, these films were made by spending hours and days literally cutting and pasting pieces of films together, or in the 80s and 90s, working on cumbersome non-linear editing bays. We will begin the program with Tex Avery's Daffy Duck in Hollywood (1938), in which Daffy runs amuck in the editing house and creates the very first collage film. Bruce Conner remixes the Kennedy assassination in Report (1967). With 3 works from the kinestatic collage master Charles Braverman including Braverman's Condensed Cream of the Be@tles (1974), Television Land (1971) and Nixon: Checkers to Watergate (1976) all employing Braverman's pulsating and rhythmic editing style and wit. Frank and Caroline Mouris create a moving collage of a different sort by cutting out thousands of magazine images and animating them to dazzling effect in the Oscar winning Frank Film (1973). Arthur Lipsett gives us the rise and fall of a global technocracy in his wryly crafted A Trip Down Memory Lane (1965). 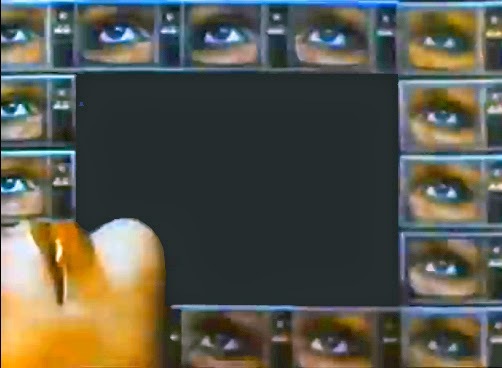 As video entered the playing field in the 1980s, a new brand of collage film was born, focusing more on the manipulation of single or double source clips, wherein clever repetition and the technique of "scratching" the image as in a record, yields new insights into previously discarded or discounted footage. Animal Charm's witty re-workings of found VHS predated the likes of TV Carnage and Everything is Terrible. Their hilarious short Family Court (1998, video) deconstructs family playtime into an absurd visual tennis match. 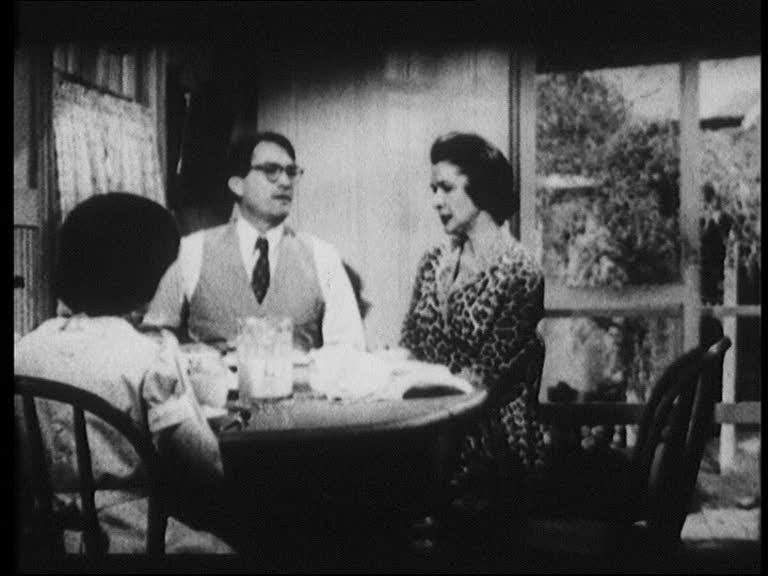 Martin Arnold utilizes classic Hollywood film for his source material; In Passage A L'Acte (1993, video), he remixes a 30 second clip of To Kill a Mockingbird to highlight every single subtle nuance you might have missed in real time. Plus, an unintentional collage film, the infamous Mandatory Edits reel, compiled entirely of film clips that were deemed inappropriate for television. All films screened on 16mm film from the archive, except where otherwise noted. A decade-long pop-culture revolution distilled into 15 minutes of cinematic bliss. 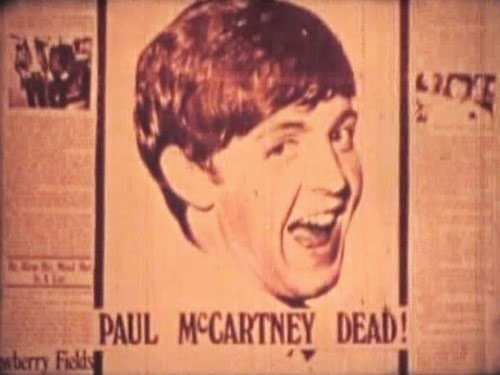 Rapid-fire montage of song snippets, iconic clips, apocryphal stills, and animation: a prototype of the modern documentary, only without the talking heads and fourfold as fab! 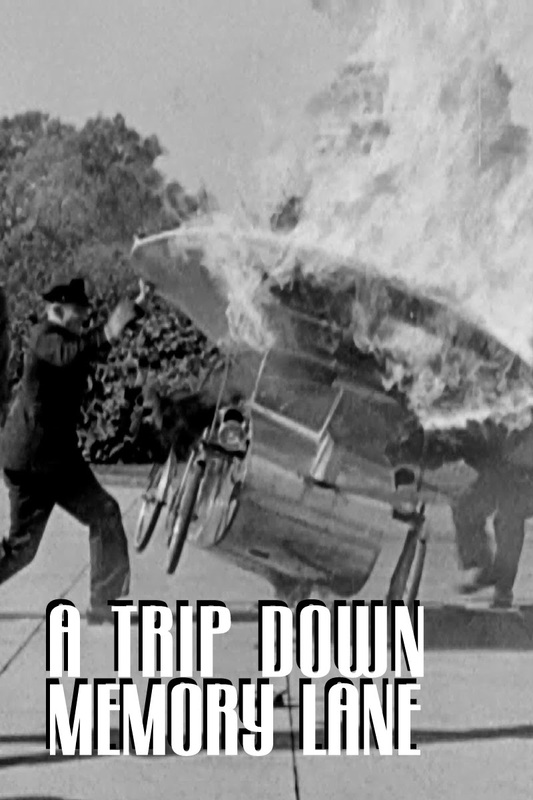 This non-narrative film showcases the flip, exuberant 60s to the end of the sober, socially conscious decade as we watch airport mob scenes, madcap press conferences, records, concerts, books, posters and movies, all tumble past in a dizzy spasm of bliss. own petard, or at least some or his own more notorious moments before the press! Braverman's playful way with two decades of sound bites captures his awkward ways and simmering resentments. Gathered together in a spry, narration-free short, they form a fascinatingly frank portrait of RMN. 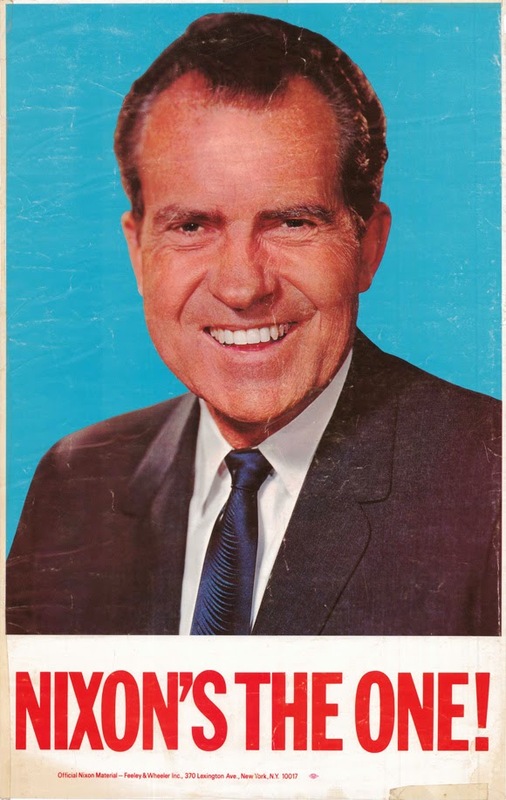 We still have Nixon to kick around and as Frost/Nixon and the quirky Our Nixon prove, some of us never tire of it. 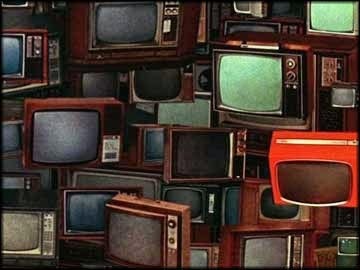 Brilliant, impressionistic, narration-free history of Television utilizing original clips, similar to the Oddball Films favorite “The Car of Your Dreams”. Directed by Charles Braverman, this snappy montage is divided into three sections: entertainment, news and commercials. "Report” can mean an account of events or a blast of a rifle and both meanings are apt for this incendiary work. Using found footage, footage the news coverage captured from his homeTV and even mostly blank film, Conner arranges familiar images and audio against each other in throbbing juxtapositions. Events in Dallas had a clear before and after for America, but Conner's careful structure plays with the sequence of events to shocking effect. Report ultimately fuses images of promise and plenty with those of cataclysm and oblivion. An autobiography of Frank Mouris and a stop-motion free-associative collage of 11,592 media images collected from magazines, which shift and mutate across the screen as Mouris reads a list of words starting with the letter "f". The words bounce off the images and trigger memories, which Mouris recounts on a second track, interwoven with the recitation. Mouris received an Academy Award and the film was selected in 1996 for inclusion in the National Film Registry. Frank Film, because of its innovative and energetic use of collage, has exerted an influence on succeeding generations of animators. Unintentional collage! This wacko reel of censored film clips will be presented as found. Marked “Mandatory Edits” and compiled presumably by the editor at the big Los Angeles TV station where this reel originated, these feature film clips were apparently deemed too violent, sexual, suggestive or shocking to be shown on TV. Jarring edits take you from the Civil War to WWII to the old West, to Ancient times and back, and from color to B &W. See flaming arrows in the chest, suggestive undergarments, bloody stumps, heaving breasts, and so much more! See Gary Cooper, Buddy Greco, Burt Lancaster, Charo, and a cast of thousands together in the boldest film that never was! 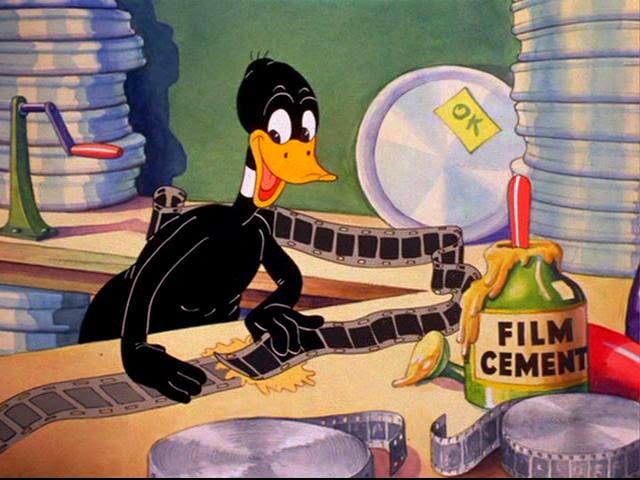 Watch Daffy Duck wreak havoc on a movie set by cutting and splicing together various clips into finished product of a movie contains nothing but newsreel titles and clips surrealist style. An unintentionally avant garde masterpiece! An absurd re-edit of a commercial VHS distributed to sell backyard sports courts in the 1980s. It's repetition and witty juxtapositions will leave you guffawing and ready to buy! Martin Arnold, rather than piece together several films, utilizes one very small piece of a film and by moving the film a few frames forward and then a few frames back, manages to uncover hidden subtexts and create a unique dance with the characters. It is like a DJ scratching a record, the narrative moves along ever so slightly but to mind-expanding effect. In this seminal work, Arnold uses a clip from To Kill a Mockingbird and while this piece is wholly entertaining, you also begin to take note of heavier topics like the black maid subjugated to the background and the strange kiss between Scout and Atticus.